The greatest guy has come! Trevor Moore of The Whitest Kids You Know and his own comedy special “Story of Our Times” has landed in Allegedly to discuss his newly released stand up special about a wondering mind of a man dragged to brunch…we’ve been there. Trevor also breaks down how he pranked called some of the worlds most well known people, becoming a dad and more! Mo Mandel takes the reins. 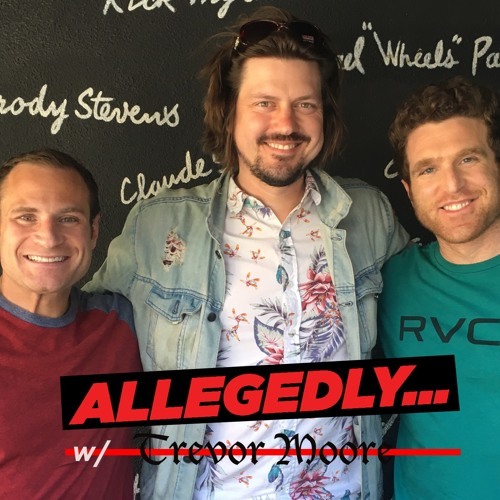 Matty leads the charge on this back and fourth episode of Allegedly! FIND OUT WHO WINS! LISTEN, RATE, REVIEW!